Hello! 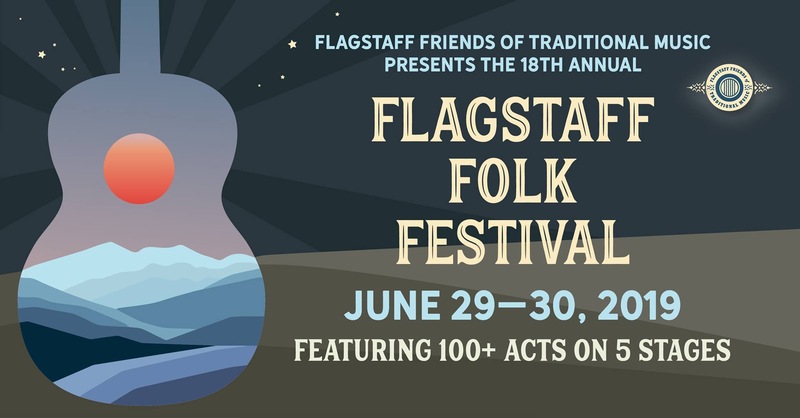 If you would like to volunteer for this year’s Flagstaff Folk Festival, please follow this link. Or read on for more information!. We ask our volunteers to work only one 3-hour shift. In exchange you get free entry for the day and a $4 voucher you can use at any of our vendors. Thanks in advance- we couldn’t do this without you! Setup/teardown: move chairs, tables, pop-ups, weed whack if necessary, put up signs & banners. Entrance table: You will greet the drivers and collect the entrance fee, counting people as they come in (we have a tally sheet), and hand out programs. CD sales & Information: Musicians will leave their CDs with you for sale. Please use the inventory sheet to track these sales. All profit goes to the musician. We do not take a percentage of sales. Checks for CDs should be made out to the musician. We do not take credit cards. Volunteers pick up their vouchers from here. You also answer any questions people have, or direct them to someone who knows the answer. Surveys: Ask visitors to answer a few questions for our survey. Musician check in: Check off the musicians as they come in and give them schedules if need be. Watch the musician’s instruments and have them label with their names. Take names/phone numbers of musicians who want to be on the wait list. Call Barry if musicians don’t sign in 15 minutes before they are supposed to play. Handle the lost & found. Timekeeper: Watch the clock and alert the musicians to remaining time. Keep an eye on the equipment to make sure nothing walks off. Sound: Run sound system for the Pioneer Outdoor Amphitheater, keep an eye on it to make sure musicians don’t accidentally walk off with cables, etc. Sound Assistant: Watch the clock to make sure musicians end on time, give 5 minute warning. Collect band layout sheets from bands as they get ready to play (CCA Amphitheater only). Help place mikes and cables, make sure no equipment accidentally walks off when musicians leave. Learn how to run sound equipment if you are interested! Parking: You will have walkie-talkies or phone numbers to communicate with other parking attendants and to keep the entrance booth notified as to how many parking spaces are available in your area. Direct each car that comes to your area to any available spaces. This job is on your feet, in the sun, so come prepared with a hat, sunscreen and plenty of water.